All donations and all net proceeds from product purchases will help develop and support our programs. Help us complete our mission! 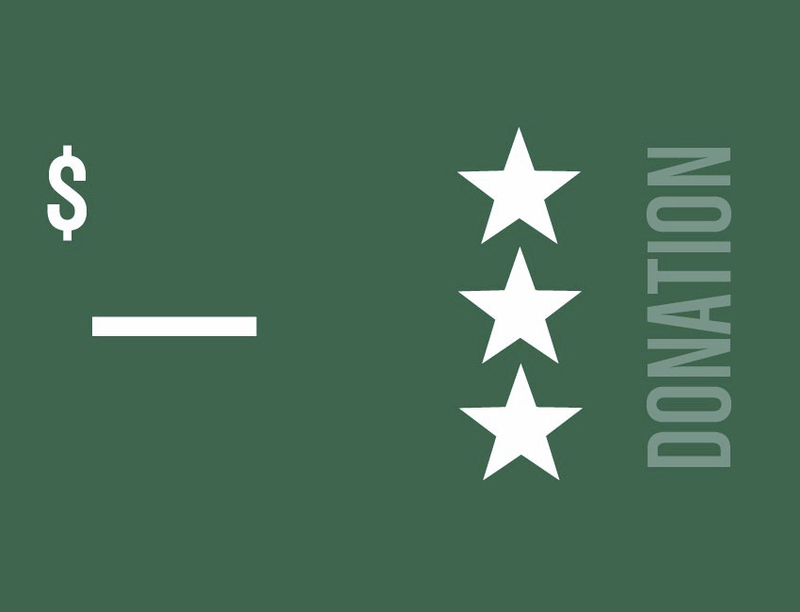 Each dollar we receive from our supporters goes a long way towards helping us achieve our goals. 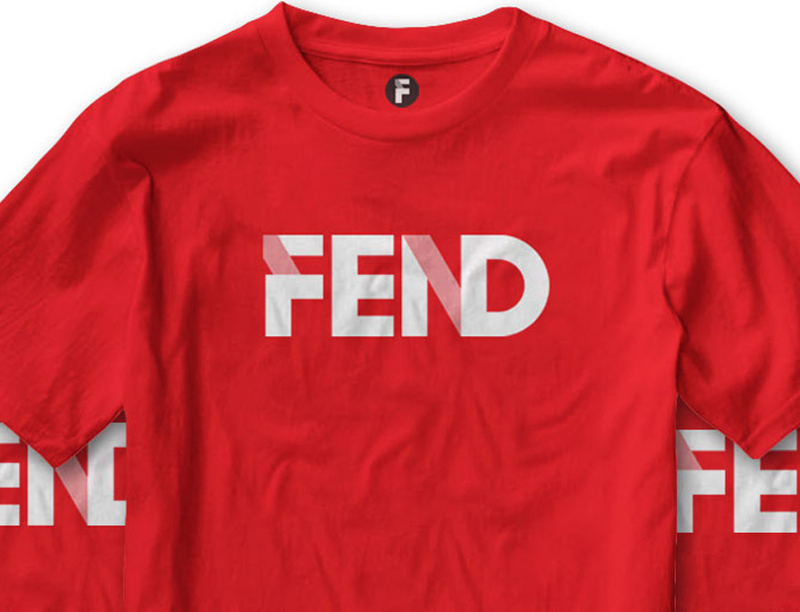 Show your commitment to fighting the battle against animal abuse and neglect by sporting our snazzy new official FEND t-shirt! The proceeds from your purchase will help develop and support our programs. All T-Shirts are Unisex. Please allow up to 10 business days for delivery. 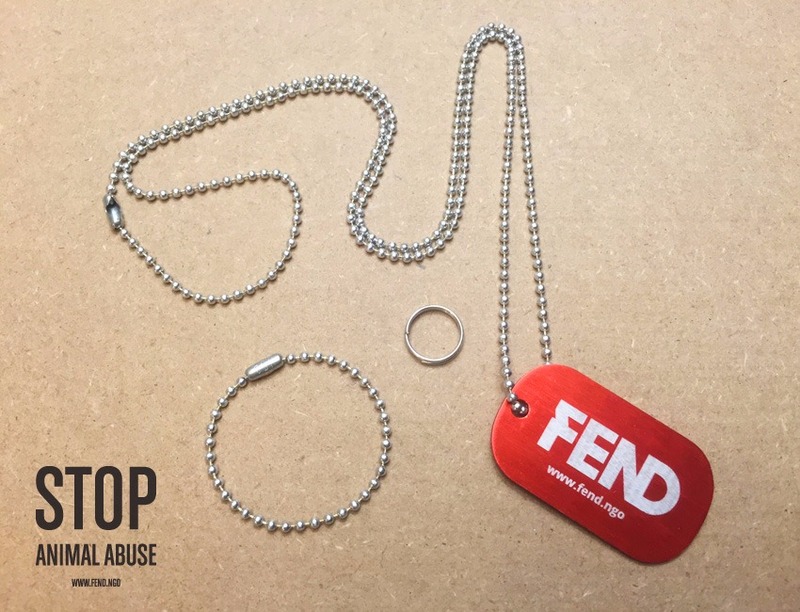 Our anodized red aluminum dog tags are laser engraved with the FEND logo on one side. The back side is left blank should you wish to have it engraved locally with your personal or pet's information. Tag dimensions: 2" x 1-1/8”. Thickness: 1.5mm. 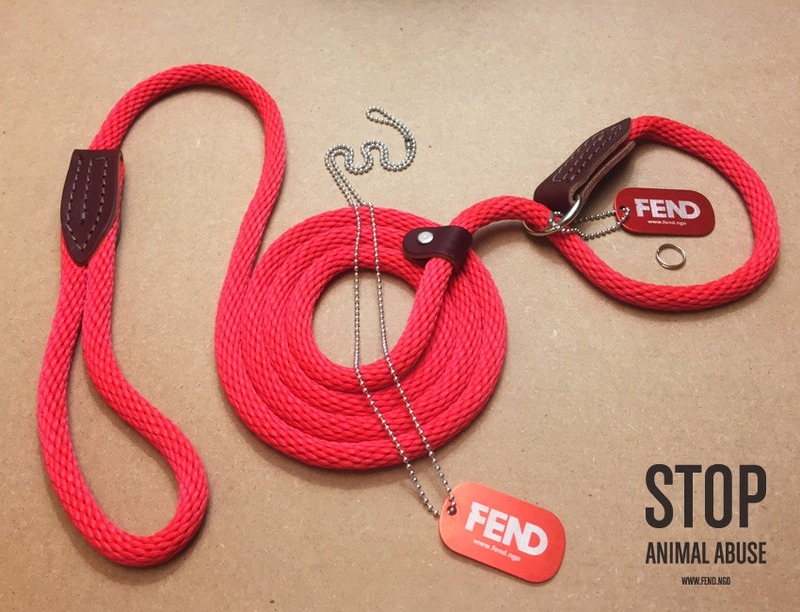 A sturdier take on a basic slip lead, these British style slip lead training leashes are made of tough braided nylon with leather binding. They have a sewn-in handle for a strong grip, and a nickel O ring at the slip loop. Lead Measurements: 1/2" X 6 Ft.